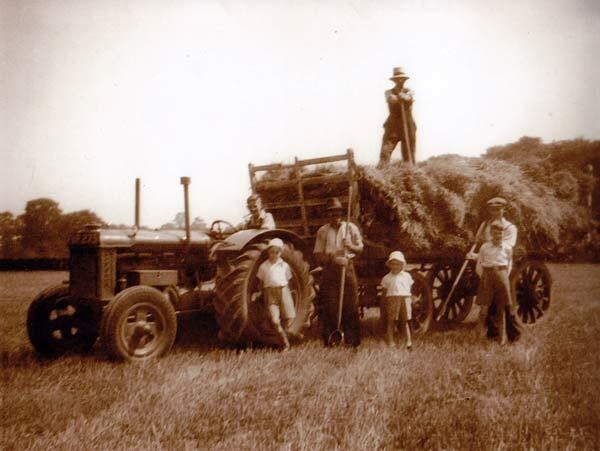 In 2010, WRCC produced “My Farming Life”, documenting the memories of farming families in North Warwickshire. We interviewed local farmers to find out about their daily life and the changes which they had experienced during their lifetime. The main image reproduced here came from Derek Dixon, who was born in Sutton Coldfield in November 1931, and who worked at nearby Chase Farm for over 50 years. The farm was mainly dairy until 1963 and he remembers his wife coming to help with milking the 24 cows, while the baby watched from the pram at the end of the shed! Many of the interviews are accompanied by images from the families’ lives, creating a special collection which captures a farming history that has changed forever. The whole project can be accessed at www.myfarminglife.org.uk where you can listen to the original interviews with the people that contributed.